Effective drug addiction counseling can be a very effective tool for gaining control over drug and alcohol addiction. The goal of addiction counseling is straight-forward, help addict to move into addiction recovery and maintain their sobriety. Sounds simple, but of course it's not. Substance addiction is likely something that has been developing over many years. Gaining control of it takes hard work, patience and persistence. 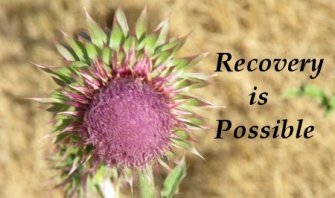 Addiction counseling can help guide an addict through roadblocks and pitfalls of a recovery journey. There are two main forms of addiction counseling: individual counseling and group therapy. During the early stage of recovery, it's often therapeutically useful to pursue both as frequently as possible. Individual counseling as the name implies, is a one-on-one session with an experienced addiction counselor. Group therapy is a group of “peers” discussing their addiction and the trials and tribulations of recovery. Individual therapy can be useful because it allows the addict to do a detailed, and often comprehensive evaluation of their situation. Group can be useful because the addict hears from other people who are struggling with addiction. The addict realizes that they aren't alone in their struggles and may get some beneficial tips for dealing with their recovery issues. 12-step groups are almost always the first recommendation for someone struggling with addiction. The reason is that groups like AA and NA are FREE group counseling and are often as therapeutically beneficial as paid out patient treatment programs. Committing to working the steps and ultimately helping others, commonly leads to permanent addiction recovery. There is an old AA saying “the steps work if you work them”. MI is a form of individual addiction counseling that can help an addict get over the ambivalence they feel about making changes to end their addiction. MI helps the addict explore why they might consider quitting and what it would look like if they did quit. MI helps break down the barriers they're feeling to quitting and helps them through the changes necessary to successfully move into recovery. Addiction is characterized by relapse. Anyone who has been addicted to nicotine has gone through the process of quitting and then the next day bumming a cigarette and starting to smoke again. That's relapse and it's the most common reason people can quit. Much research has been done that if an addict understands what triggers them to use and avoids those triggers, then they have a MUCH higher likelihood of staying in addiction recovery. Counseling can help an addict to identify their triggers and create plans to avoid triggers or respond to them when they occur. Addiction counseling can ONLY be successful if the addict feels comfortable and well support by their therapist. Drug addiction counseling needs to be a supportive, non-judgmental process to help the addict gain the skills necessary to move into addiction recovery.